Sebastian de-Ramon, Bill Francis and Kristoffer Milonas. Navigational aids are helpful when visibility is poor or when landmarks are unfamiliar, especially when journeying to new destinations. 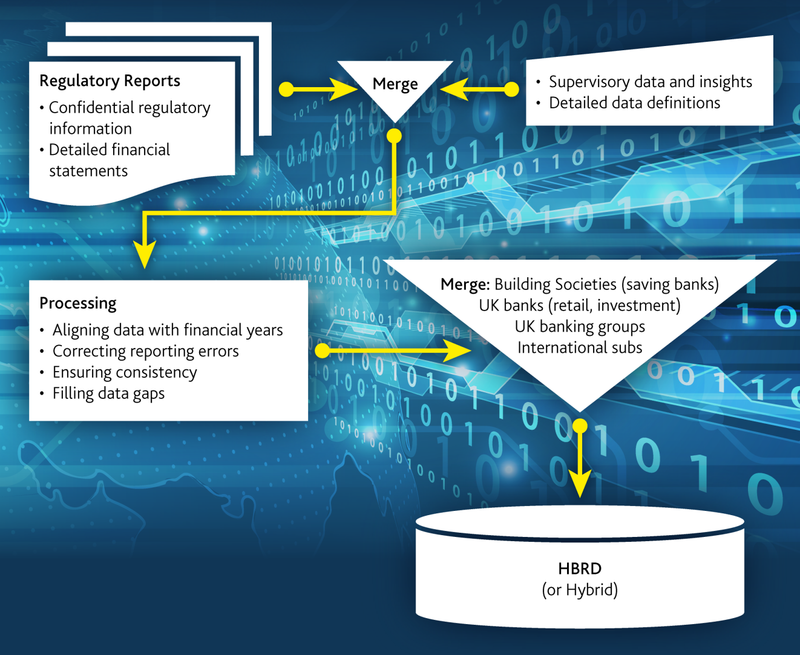 In a recent working paper, we introduce a new regulatory dataset, the ‘Historical Banking Regulatory Database’ (HBRD), that provides a clearer view of the UK banking sector and helps navigate issues difficult to explore with other datasets. This post describes the HBRD, its benefits for research and policy analyses, and what can be learned from it. What’s the HBRD and what’s in it? As the name implies, the HBRD contains information from regulatory reports submitted by banks and building societies. It covers 200 consolidated banking groups and 700 individual firms spanning years 1989 to 2013. Its primary benefits are the scope of firms covered, the long and consistent time series as well as the inclusion of confidential supervisory data. Figure 1 outlines the database construction process and how a wide range of data sources was used to ensure quality and consistency. Researchers interested in HBRD should contact the authors or other Bank of England researchers. What does HBRD reveal about the evolution of the UK banking sector? In the working paper we undertake a wider analysis of UK banking sector conditions using the well-known CAMEL ratings framework covering aspects on Capital adequacy, Asset quality, Management skills, Earnings performance and Liquidity. 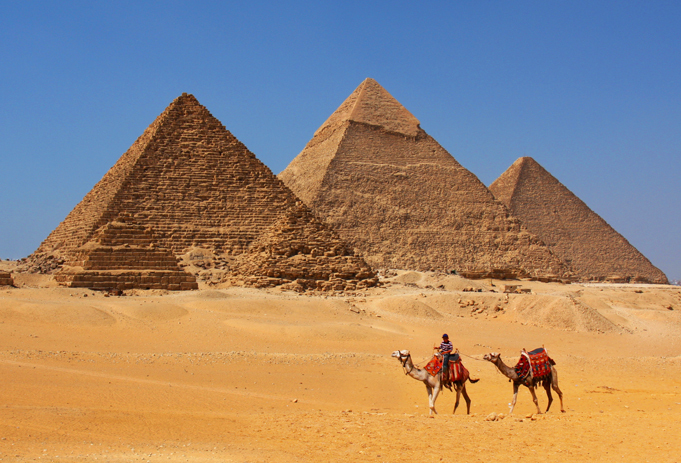 We juxtapose our review of each CAMEL factor with developments in capital and liquidity regulations over the 25 years covered by the database. While some of these developments resulted from changes in international standards (Basel I and II), others evolved in ways unique to the UK. Domestic measures included, e.g. bank-specific supervisory add-ons to capital and liquidity requirements, which can help overcome identification challenges for causal inference in economic research. This blog discusses what we’ve learned about the C, A and L factors. Measured according to risk-based standards (where assets deemed riskier are assigned a higher risk weight and act to reduce the ratio of capital to risk-weighted assets) capital adequacy ratios improved from the mid- to end-1990s for large banks, and improved again after the 2008-09 financial crisis for both small and large banks (Figure 2). At the same time, however, non-risk-adjusted leverage ratios worsened considerably ahead of the crisis (Figure 3). The regulatory focus at the time on risk-based standards allowed this paradoxical picture of capital adequacy to emerge. Others (e.g. Haldane, 2013) have already observed this pattern for large banks and discussed whether it represents regulatory arbitrage or true reduction in risk. We go further by showing that it held for small banks too. Many (e.g. Hellwig, 2010) also contend that the 1996 Market Risk Amendment (MRA) contributed to this outcome. The MRA allowed banks – in particular, large banks – to shift assets from the banking to the trading book based on a subjective concept of “intention to trade”, and to use their own internal models to set lower risk weights on trading-book assets. The consensus view is that the MRA allowed a dangerous build-up of leverage in the system. Our simple review supports this idea. Before the amendment large banks consistently displayed lower capital ratios on a risk-weighted basis. After the amendment, however, the disparity narrowed (Figure 2). Note(s): Figure 2 ratios are weighted by risk-weighted assets, while Figure 3 ratios are asset-weighted averages. The set of large firms includes the 8 largest firms as determined at the beginning of the sample period. The set of small firms includes all other institutions as determined each period and is not consistent over time. Data are from firms headquartered in the UK. The implications of the MRA can be seen in more detail in Figures 4 & 5 below. Figure 4 shows that large banks markedly increased the share of their assets classified as trading book after the MRA in 1996. Figure 5 shows that the average risk-weight of trading book assets was roughly half of that in the banking book (note that we show this figure only for large banks due to the limited number of small banks with a trading book). We also see that average risk weights in both the trading and banking books have generally decreased during our sample period. Note(s): The figures show asset-weighted averages. The set of large firms includes the 8 largest firms as determined at the beginning of the sample period. The set of small firms includes all other institutions as determined each period and is not consistent over time. Data are from firms headquartered in the UK. The banking book and trading book risk weights are calculated as the weighted average across all firms of the corresponding ratio between risk-weighted assets to total assets. Together, these charts suggest that banks’ capital buffers changed concurrently with regulatory changes to capital requirements in ways that reduced individual resilience, which, as the 2008-09 crisis showed, can have consequences for the wider economy. The granular breakdown of banks’ balance sheets, capital resources, requirements and risk weights available in the HBRD can help in not only identifying similar instances of regulatory arbitrage, but also refining research on ex ante and ex post effects of regulation more generally. Indeed, a recent Bank of England working paper used the HBRD to demonstrate that banks alter their balance sheets in response to changes in regulation. There are both considerable similarities and differences between the 2008-09 crisis and past episodes (e.g., Krugman, 2009; Reinhart and Rogoff, 2011; Claessens et al., 2010). While the prolonged credit expansion in the run-up to the recent crisis was also evident ahead of other crises, the widespread use of complex financial instruments backed by such credits (e.g., mortgage-backed securities) differed from previous ones. Therefore, traditional measures of asset quality such as net loan losses will not capture e.g. the write-downs and mark-to-market losses on asset-backed securities that were key sources of losses to banks in 2008-09. Note(s): The figure shows loan-weighted averages. The set of large firms includes the 8 largest firms as determined at the beginning of the sample period. The set of small firms includes all other institutions as determined each period and is not consistent over time. Data are from firms headquartered in the UK. Figure 6 reports net loan loss rates for UK banks and shows that while they were relatively high during the early 1990s, a period also marked by turbulent banking conditions and the small bank crisis in the UK, they were more contained during the 2008-09 crisis. This suggests that a more complete picture of the channels through which risk can arise, especially outside the traditional loan portfolio, is important for assessing asset quality and bank stability. The wealth of information on e.g. impaired assets and loss provisions in HBRD could therefore be used in early-warning tools in the spirit of e.g., Cole et al., 1995; Cole and Gunther, 1995; Cole and Wu, 2009; Cole and White, 2012. Goodhart (2011) notes that liquidity ratios of international banks worsened not only during the 2008-09 crisis, but also in the preceding twenty years and that this added fuel to the fire. The detailed breakdowns in the HBRD permit a better understanding of liquidity conditions in the UK. Figure 7 shows that ahead of the crisis large banks tended to have higher levels of liquid assets. This metric, however, proved untenable in depicting the strength of bank liquidity. Notes: The figures show asset-weighted averages. The set of large firms includes the 8 largest firms as determined at the beginning of the sample period. The set of small firms includes all other institutions as determined each period and is not consistent over time. (a) The measure includes high quality liquid assets (e.g., cash and balances at central banks, gilts, treasury bills and other highly liquid bills) as wells as credit to other financial institutions, debt securities and equity shares. Figure 8 confirms Goodhart’s observation and indicates that large banks had less stable funding relative to their liquidity needs. In the paper, we show that this was partly due to large banks having a lower share of their funding from retail deposits, considered relatively stable. The innovative proxy for the new NSFR requirement (Figure 8) is just one example of the possibilities that HBRD offers. Creative use of the HBRD affords researchers opportunities to navigate through important research topics relating to e.g. the interaction between capital and liquidity/funding requirements and what these mean for bank behaviour and the economy. We’ve provided only a glimpse of the HBRD and a few things learned from it, particularly about the consequences of regulation and changing the course of regulation. We documented, for example, that ahead of the crisis the regulatory focus on risk-based capital measures allowed not only large, but also small banks to take on additional risk, despite reporting improvements in risk-based capital ratios. We also reported evidence suggesting that at least part of this shift may have been in response to the MRA (which allowed banks to set their own capital requirements for trading risks). Our analysis of asset quality reinforces the idea that sources of risks beyond the traditional loan portfolios are important for assessing bank stability and dangers to the economy more widely. In addition, we learned that assessing threats lurking in the currents of bank liquidity may require more than just a surface view. Our proxy for the NSFR shows this to be the case with both large and small banks experiencing a worsening in their funding stability before the crisis. Our working paper offers a more complete picture of the HBRD and its benefits in addressing questions that other datasets can’t tackle adequately. We hope that the HBRD’s comprehensive coverage of all banks and building societies alongside confidential regulatory information will help researchers and policymakers venture yet further into unfamiliar territory and discover new insights into bank behaviour. Sebastian de-Ramon and Bill Francis work in the Bank’s Policy, Strategy and Implementation Division. Kristoffer Milonas works in the Bank’s Banking Policy Division. If you want to get in touch, please email us at bankunderground@bankofengland.co.uk or leave a comment below. Comments will only appear once approved by a moderator, and are only published where a full name is supplied. Previous Post Bitesize: How trendy are retail sales?